If you’ve chosen to learn Linux to use as your operating system, you’ve made a great choice! There’s a lot to learn about Linux, and if you want to make the most use out of the open source operating system, it’s important to learn and improve! But how can you tell when you’re not a rookie anymore? Check out these 10 mistakes rookies tend to make, and see if you’ve made any of them recently. If you have, don’t worry! The point here is not to point and laugh, but to recognize the mistakes and learn from them. First off, some people tend to have rather strange ways of pronouncing the word “Linux”. It’s definitely not the easiest word in the world, but it’s not hard either. Linux has two syllables with the same pronunciation as the “lin” in “linens” and “ux” in “flux”. Lin-ux. Easy, right? As a comparison, it’s a bit different than the name of the creator of Linux, Linus Torvalds. His first name is pronounced like “line” and us”. At least that’s how he prefers his name when spoken in English. There’s no single “Linux” out there, and it definitely isn’t just Ubuntu either. There are tons of other distributions out there, all of which have differences between each other. The beauty (and curse) of having all of these distributions is that you have choice. While they all run Linux at the core, what’s provided along with the core varies, so you can pick what you think suits you best. When you run a command in the terminal, it’s sometimes aggravating when it says “permission denied” and you have to redo the command with “sudo” at the beginning. Some rookie Linux users will tend to prefix all of their commands with sudo, even when a lot of them don’t require it. This is bad, because certain commands actually run better when you run them as your own user rather than as root. Of course, it’s also a security risk if everything runs as root and therefore has access to literally everything on your system. Similarly, rookie Linux users will often run any command on their system that a member of an online support forum claims will help whatever problems you’re encountering. Although rare, it does occasionally happen that people will provide damaging commands to innocent users. We’ve made a list of the most common commands that you should avoid 9 Lethal Linux Commands You Should Never Run 9 Lethal Linux Commands You Should Never Run You should never run a Linux command unless you know exactly what it does. Here are some of the deadliest Linux commands that you'll, for the most part, want to avoid. Read More at all costs, so take a look at that if you’re worried. Otherwise, you might find that the system is deleting itself! There are tons of commands out there that you can use. In fact, there are so many that not even the most seasoned Linux users know all of them. The rookie mistake here is not knowing how to help yourself 4 Ways to Teach Yourself Terminal Commands in Linux 4 Ways to Teach Yourself Terminal Commands in Linux If you want to become a true Linux master, having some terminal knowledge is a good idea. Here methods you can use to start teaching yourself. Read More . If there’s ever a command that you come across that you’d like to learn how to use, you can use the man command. So for example, if you need to learn more about the move command mv, you can enter in man mv and it’ll give you detailed documentation over everything mv can do. Not sure how to use man? Just type man man and learn all about it! An easy way to remember this is that man is short for manual. Linux rookies tend to lean too much on WINE or think that WINE can run all Windows applications. 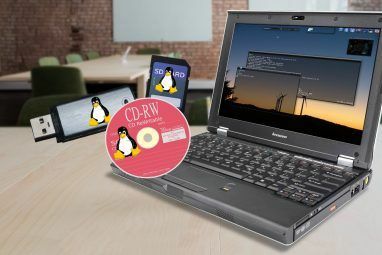 While WINE certainly does allow some applications and games to run under Linux, it’s not perfect Run Windows Applications on Linux (or Mac) With WINE Run Windows Applications on Linux (or Mac) With WINE Read More . In fact, if something works under WINE, you should feel lucky rather than take it for granted. 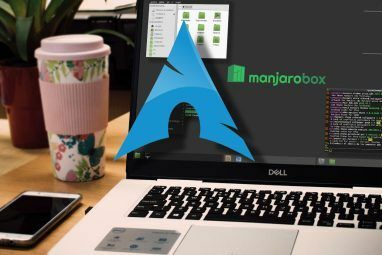 If you want to be a better Linux user, you’ll need to seek alternatives that are native to Linux and use them to their fullest. Which comes to my next rookie mistake: Windows software isn’t the only software available. While there are a lot of applications which also have Linux versions (such as Firefox, Chrome, Thunderbird, GIMP, etc. ), this isn’t always the case. However, just because that specific application isn’t available on Linux doesn’t mean that the functionality you’re looking for doesn’t exist on Linux. 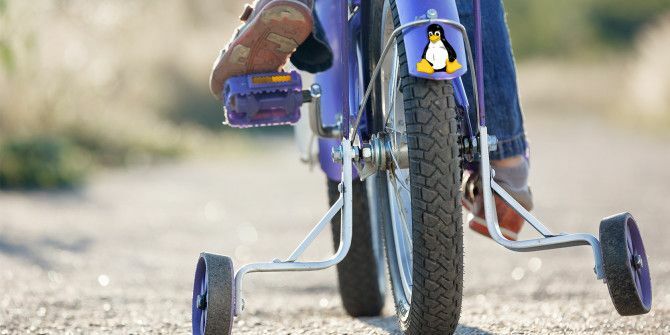 Nine times out of ten, there’s a Linux alternative The Best Linux Software and Apps The Best Linux Software and Apps Whether you're new to Linux or you're a seasoned user, here are the best Linux software and apps you should be using today. Read More that doesn’t run on Windows and can give you the same functionality as that Windows application you were looking for. Some distributions like Ubuntu offer a “software center” or “software store” where you can go to find all sorts of software. While this approach does make things more familiar for newer users, you’ll sound like a rookie if you keep mentioning them as such. These software centers or stores are merely just different UIs placed on top of what’s called a package manager. They allow you to install or remove packages (which software, add-ons, and other goodies come as in Linux), keep a list of all installed packages, and check for updates for installed packages. Ultimately, you’re just using the package manager with a fancy user interface. It’s important to know that some distributions use .deb packages, some use .rpm packages, and others have their own package formats. If you didn’t know that, it’ll seem like a rookie mistake whenever you find an .rpm package and try to install it on a system that uses .deb packages. The reasoning behind these different formats is that different distributions can use different package managers, which require different package formats. It’s confusing and honestly a bit hindering, but it might explain why you’re not able to install that one package sitting in your Downloads folder. Finally, when you’re using Linux alternatives, please be aware that they may have different default file formats. For example, when you’re using LibreOffice, it will want to save files as .odt, .odp, and so on by default. However, Microsoft Office users that you send these files to may not know what to do with them (although Microsoft Office should be able to open them — albeit poorly). So it’d be a good idea to make sure that you save such documents in the industry-standard formats to avoid any potential compatibility issues with other users. 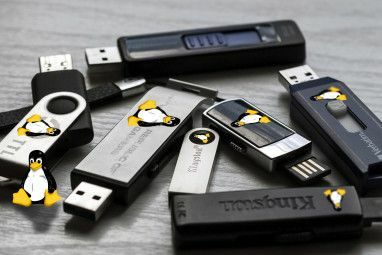 These ten mistakes are made quite often by Linux rookies, but you’ll learn from them eventually. However, with this list right in front of you, it may be easier to try to avoid the mistakes and save yourself some time. It’s also worth checking out these five lies about Linux 5 Lies Linux-Haters Like To Tell 5 Lies Linux-Haters Like To Tell Linux may have been a scary operating system before, but all of that has changed in recent years. These myths, which are more accurately called lies, are now dead. Read More to see whether you thought they were true. What mistakes did you make as a Linux rookie? Let us know in the comments! Why on a Linux post, have a screen cap of a man page from MacOS? Actually, RPMs and DEBs do mix, in the sense that one can (although it's almost never needed, only when an RPM is available, but a DEB file isn't, or vice-versa) convert between the two using a program called Alien (see http://www.thegeekstuff.com/2010/11/alien-command-examples/). Also, you can install YUM (package manager for Red Hat and derivatives) on Debian-based distros, and you can install APT (package manager for Debian and derivatives) on Red Hat/Fedora-based distros. I have no idea why anyone would do this. If I appear as a Linux rookie, maybe it is because I am one. I am certainly not a Linux expert! "Linux Is More Than Ubuntu"
Judging by the articles written about Linux, it starts and ends with Ubuntu. Linux IS Ubuntu and Ubuntu IS Linux. The mistake is being made by writers, bloggers and pundits who incessantly push Ubuntu. Rookies only accept what they are being told by the "experts." A mistake you did not mention is "You don't have to know Command Language to use Linux." Command Language helps but it is not absolutely essential. One can use Linux comfortably without ever getting into Console, especially with distros such as Ubuntu and Mint. I only use WINE when I have to - which means almost always for games and almost never for everything else. File formats? I used to send people stuff as .doc or .xls when I first used Linux. Then I thought, what the heck - odt and ods are recognised and open international standards, any software worth its salt will open it, and if it doesn't it won't cost anyone any more than a few minutes of time to get excellent software that can read it. I don't think Linux users should be timid about using open file standards. A bit different if the format is specific to one program admittedly. There has been a .au audio file of Linus pronouncing both his name and the name of his operating system packaged with every Linux distribution for pretty much as long as there have been Linux distributions. It's probably still present on modern distros.